Special education law and its processes and procedures are complicated. Understanding why your school district makes certain decisions about your child is even more complex. The employees of The Kline Law Firm, LLC, know why these decisions are made. Mr. Kline has worked exclusively as a lawyer representing school districts throughout his career and knows why school districts take certain legal positions about your child. This knowledge regarding the legal positions of school districts offers your family an inside perspective about legal decisions made at the IEP meeting table, Section 504 meeting table, mediation, and through due process. He is an expert in the Individuals with Disabilities Education Improvement Act (IDEA) and Section 504 of the Rehabilitation Act of 1973 (Section 504). His expertise in both areas of these laws has been recognized by administrative courts, federal district courts, and federal courts of appeals. In providing legal counsel to several large metro-area school districts throughout his career, he understands the school district conversations held before IEP meetings and understands the background regarding decisions made at the IEP meeting table. He has attended hundreds of IEP team meetings and Section 504 meetings and has negotiated dozens of settlement agreements. Mr. Kline has also successfully litigated numerous special education cases at both the administrative and federal levels. Dr. Turnage, a career educator with twenty-six (26) years of experience in the public school sector, has worked closely with families of children with disabilities. She studied special education as an undergraduate and proceeded to gain her master’s degree in special education due to her dedication to students with disabilities. She later received her doctorate in educational leadership. Throughout the course of her career as an educator in public school districts, she has advocated for children with disabilities. Her vision was and remains the same regarding children with disabilities; to ensure that all students receive a free appropriate public education (FAPE) in their least restrictive environment (LRE). She is now a family advocate, and she understands the policies, procedures, and programming regarding school district decisions at IEP team meetings and Section 504 team meetings that may affect your child and your family. The collective experience of the Kline Law Firm, LLC’s employees and perspective from the inside gives your family a unique advantage. The Firm’s employees understand the inner-workings of school districts and can anticipate and react to the positions your school district will take. 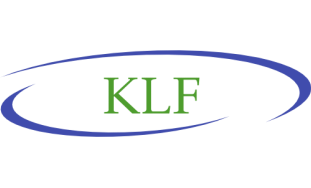 The creation of and the driving force behind the Kline Law Firm, LLC, and its core beliefs are simple. Advocacy for students with disabilities.